Despite the large number of machine shops in northeast Wisconsin, a relative few excel in machining large parts in Green Bay. Titletown Manufacturing LLC, which has invested significant resources in equipment and software upgrades over the past couple of years, has the capability of machining large parts for a wide range of industrial applications. One of the key additions to the Titletown Manufacturing shop floor is a vertical milling machine that features an 80-inch x-axis and a 27.5-inch y-axis. The unit performs multi-axis CNC machining operations for steel, stainless steel, aluminum and plastic parts within .0001 tolerance. Titletown Manufacturing’s investment in the Mastercam 2018 release introduced the ability to make parts directly off customer-supplied files or models. 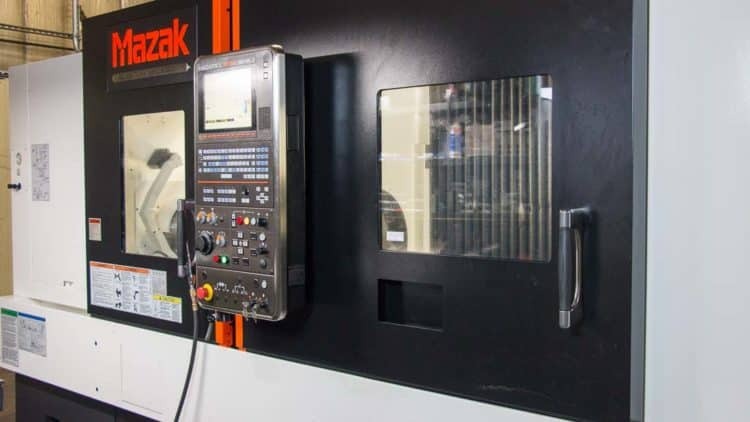 This is particularly helpful for machining large parts on the vertical milling machine, which excels at producing a wide range of sizes, shapes and depths. Titletown Manufacturing serves as a trusted supplier for OEMs in multiple industries, with parts ranging from one-quarter inch to 19 inches in diameter, and one-half inch to 80 inches in length. It has the flexibility to run a wide range of job quantities, all produced to precise specifications.